Simple, practical solutions to help you breathe easier! If you or someone you love has been diagnosed with asthma, you need to experience the life and the breath of God! 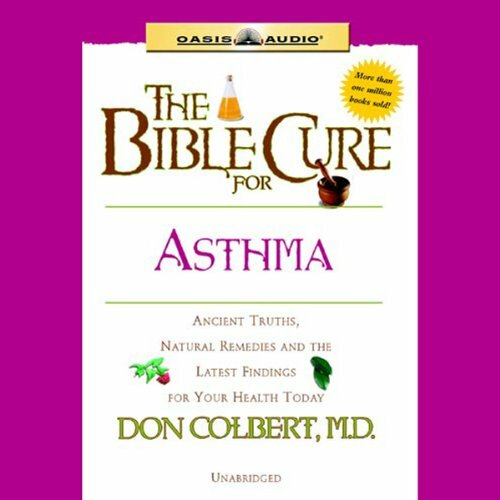 Here, Dr. Don Colbert offers a natural, biblical plan for totally conquering asthma, which afflicts about 20.3 million people. This practical audiobook will help you understand: the heart connection - why asthma suffers feel chronic grief and loneliness; how to combat irritants that aggravate asthma attacks; how to breathe easier to reduce asthma; how a balanced diet and taking supplements can help. You want to be healthy. God wants you to be healthy. At last, here's a source of information that will help you live in health - body, mind and spirit.